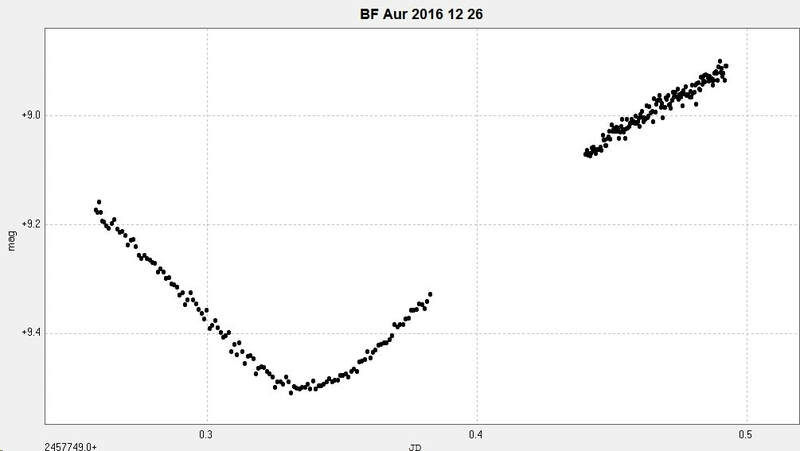 Light curves and phase diagrams of the EB type eclipsing binary BF Aurigae / BF Aur. Primary minimum of BF Aur on 26 December 2016 constructed from photometry of 271 unfiltered images taken with the Somerby Observatory 2" Titan. Light curve and phase diagram of BF Aur constructed from 29 images taken with the Bradford Robotic Telescope Cluster Camera between 26 October 2014 and 1 October 2016 using the tri-colour Green filter. 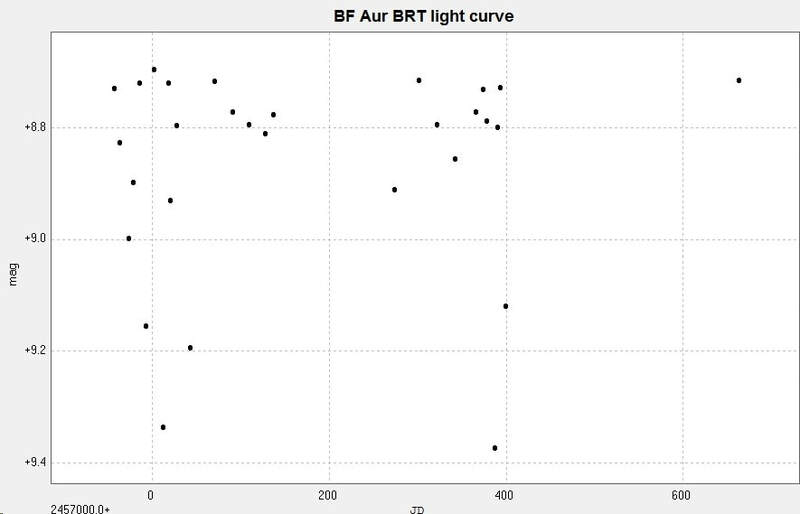 Combining the Somerby and the BRT data produced the following light curve and phase diagram. The Somerby data is in red, the BRT data is in black. The BRT data was reduced in brightness by 0.07 mag in order to make the two sets of data (filtered and unfiltered) more consistent. 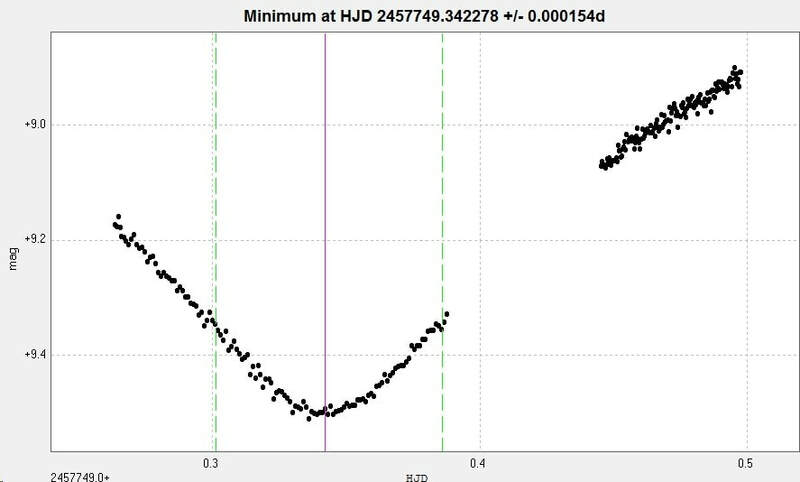 The catalogue period for this system is ​given as 1.5832232d (GCVS), 1.5832208d (AAVSO VSX) and 1.5832254d (Kreiner). ​There is o-c activity for this system.